Some new Friday the 13th projects may finally be coming down the pipeline. For quite some time now, the franchise has been dormant and, in part, that has had to do with a legal battle between screenwriter Victor Miller, who penned the original movie, and the current rights holders and producers at Horror Inc. Recently, a judge ruled in favor of Miller, meaning he will have the rights to Friday the 13th. But it's quite complicated. In spite of that complication, the producers are moving forward with new projects related to Jason Voorhees. 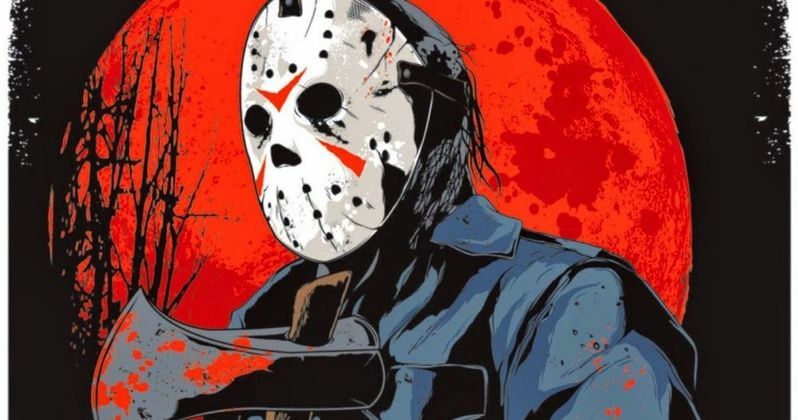 The full details of the recent court ruling were not disclosed, but as it seems, Victor Miller will retain the rights for Friday the 13th in the U.S. International rights are another matter and it looks like Horror Inc. will retain those. Horror fans will recall that the original movie didn't feature the masked killer we now know as Jason Voorhees in his fleshed out form. It was Jason's mom who was the killer in the original and the hockey mask wearing version of the character didn't appear until the third movie. In a recently released statement from the producers, that is going to be a sticking point. Here's what they had to say. "Following the guidelines set down by the Court's ruling, we intend to aggressively explore many opportunities for new projects featuring settings and characters (including the hockey mask-wearing killer) not included in Mr. Miller's screenplay, and in fact are currently in development on new projects that are consistent with the ruling which will be announced soon." This is frustratingly vague and it doesn't indicate the nature of these projects. When last we saw Jason Voorhees it was in the 2009 Platinum Dunes-produced Friday the 13th remake, which was actually kind of a mishmash of much of what had come before. So any sort of new project within the franchise would be welcome for horror fans, but it sounds like this legal battle is far from over and could get quite complicated. The producers also had this to say in their statement. "We are disappointed in the court's ruling and disagree with its conclusion. We are considering our options including an appeal. In the meantime, the court was very clear that its ruling in favor of Mr. Miller is limited to the original screenplay in which Jason's mother is the killer and that Mr. Miller's termination notice did not purport to terminate the separate copyright in the iconic supernatural killer who wears a hockey mask. It also does not grant any rights to Mr. Miller that would enable him to use any element of the original screenplay outside of the United States." Will we ultimately wind up with two different versions of the Friday the 13th series, similar to what is happening with Child's Play right now? It's hard to say, but we're clearly much closer to actually getting new movies and/or TV shows featuring Jason than we have been in years. We'll be sure to keep you posted as any further details come to light. This news was first reported by Bloody Disgusting.